A fabulous typewriter key heading gives this brilliant résumé template a quirky feel, perfect for secretarial or administrative job applications. The Courier New font will be familiar and looks like old fashioned typing, fitting perfectly with this résumé's theme. The picture in the personal information section is optional and very easy to remove - simply click on it and hit the Delete key. Alternatively click on it, right click and choose 'Change picture' to add your own image to the template. Secretary themed résumé template	Overall rating:	3	out of 5 based on 1	reviews. A themed template that uses our own custom typewriter graphic for emphasis, coupled with the traditional Courier New font that perfectly fits in with the look. 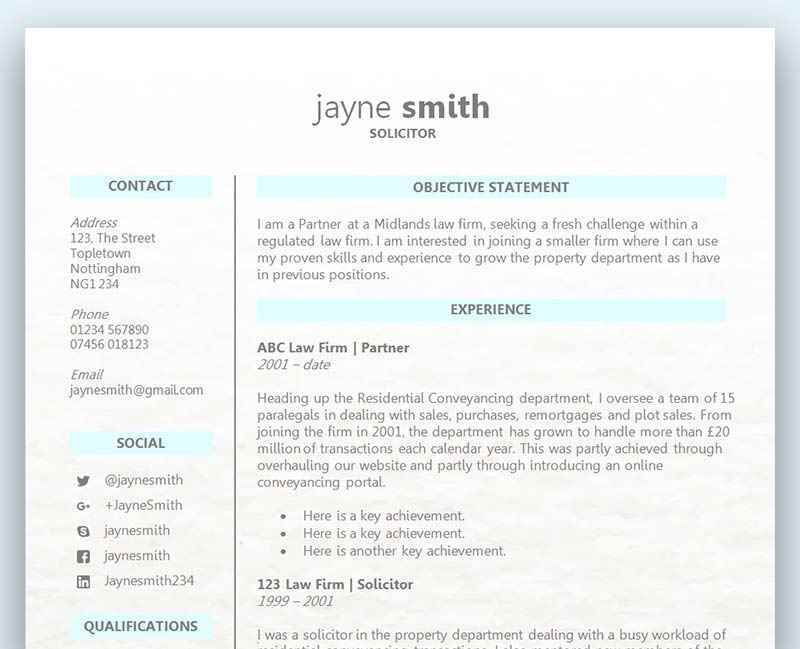 Neatly laid out sections divided by cute dotty lines finish the look and keep your information nicely organised for your prospective employers to review. How important is writing a draft CV? So you’ve picked your favourite CV template and now you want to get straight into writing it. You have all of your past work history and tasks locked inside that incredibly awesome memory of yours, and now it’s time to type it straight onto Word. Before you fall into the temptation of getting straight into the final copy of your CV you need to consider the importance of creating a draft first. But why is this needed? Having a great CV template is where the draft will begin, so choose wisely before you proceed. There are lots of great templates to choose from, and once you’ve decided you can now make a start on your draft. Print off your CV template and start right from the beginning creating a draft structure of your CV. Don’t worry about completing your contact details as this is the easiest section to complete, which can be added straight onto the final copy. However, the rest of the sections need to be drafted first. Using your CV template you can now begin to complete each section, but don’t worry about making each sentence and paragraph perfect as this stage is all about getting ideas down onto the page. Each section requires more thought than you realise, and this is where the draft comes into its own. Take the ’employment history’ section for example, and consider how you are going to present your past achievements. One of the biggest misconceptions a CV writer has today is that the employment history section is all about stating just their past roles and what they did in those roles. There is far more to this section than most people realise, and for more information on how to complete this section please click here and scroll past the CV template. In a nutshell, the employer is also looking to see how well you performed in your past roles – what were your results, did you solve any customer complaints, did you ever gain a promotion? An employer is only interested in what you can bring to the role, and you’ll often find a lot of irrelevant information on a CV that is only important to one person. Use your draft copy to weed out all the unimportant stuff and bring out everything that you feel the reader will get excited about. You are always looking to highlight your very best skills, qualifications and experience which aligns with the role/industry/company you are applying for. This is why creating a draft copy of your CV will ensure you don’t end up with worthless information on your final copy.